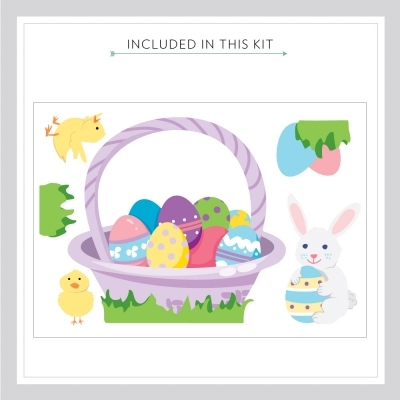 Celebrate the colors of Spring with this colorful arrangement of adorable chicks, eggs, and bunny rabbit. 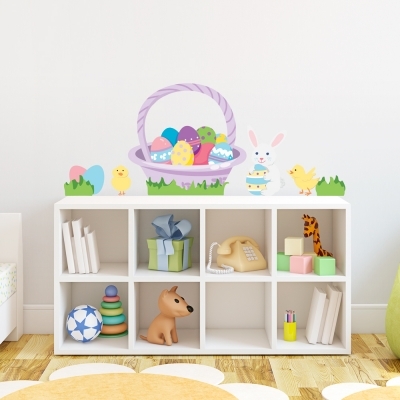 The perfect addition to your cute Easter wall decorations! Please note: colors may vary slightly from image above. Assembled Size (as shown in image above): 48" wide x 19" tall approx. Unlike our solid standard vinyl decals, Wallums Printed Decals are made from ultra premium finely woven fabric that is repositionable, and re-usable. Perfect for renters, apartment, dorm rooms, classrooms and holidays. 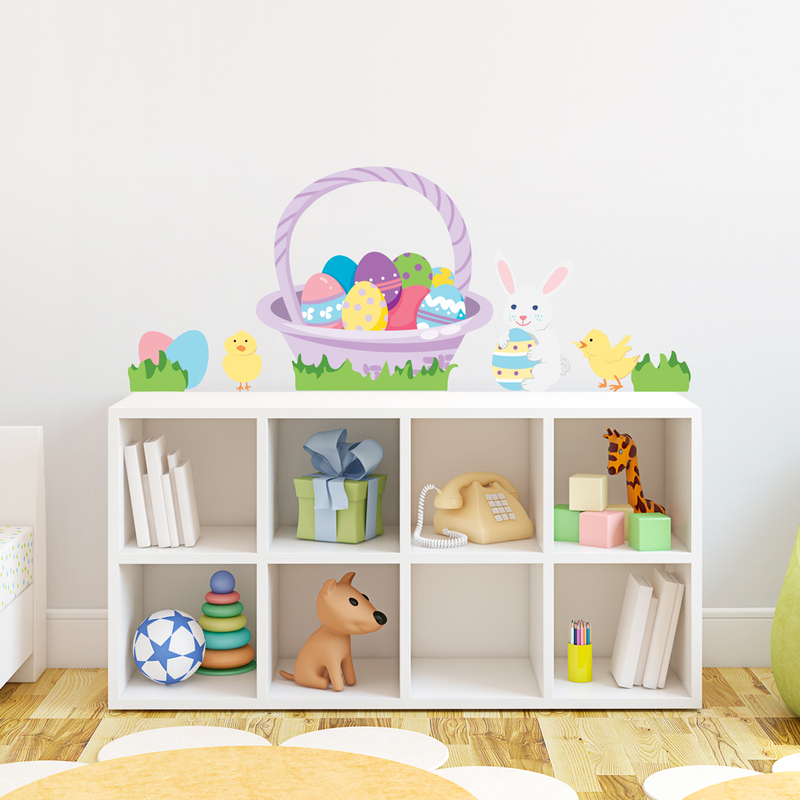 Our printed Easter bunny and eggs wall decal can last for years but are easily removable when you move or decide to change it up.